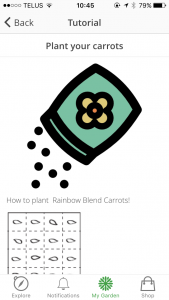 When you create you first garden box and select your plants with the My Green Space app, you will be given garden tasks. 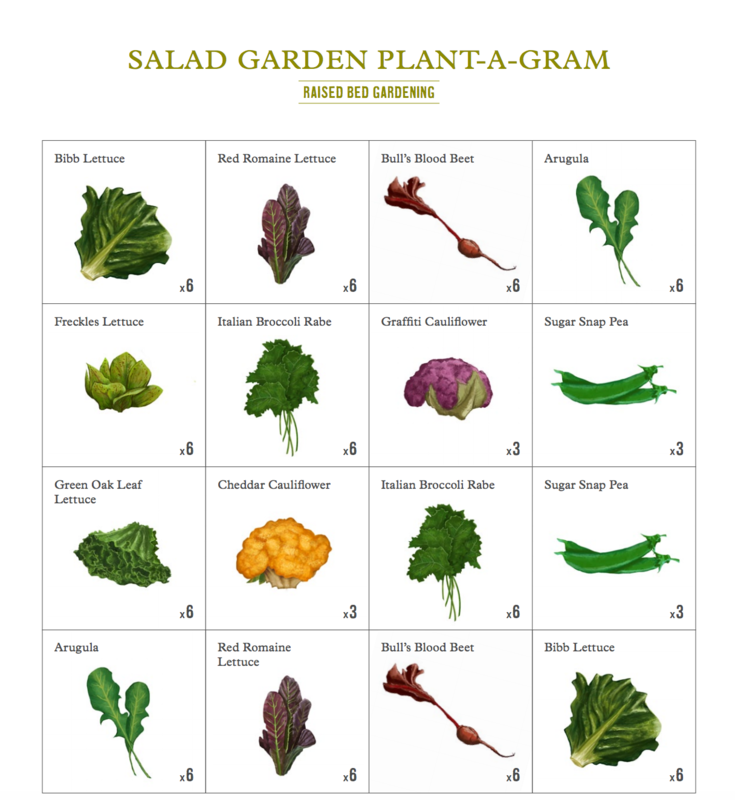 These tasks are there to help you on your journey of growing your plants for harvest. Here we explain all you need to know about using the garden tasks with confidence. 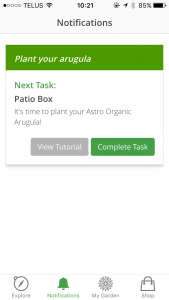 Once you have chosen your plants for your garden box, the garden tasks will appear in your notification tab of your app. The garden tasks have two choices. You can either tap “View Tutorial” to learn about the garden task. Or you can tap “Complete Task” and a window will pop up. Select the date from the menu of when you completed this task and tap “Save”. This will complete the task and you may be given a new task. Here below is an example of a garden task when you decide to grow arugula. That's it! 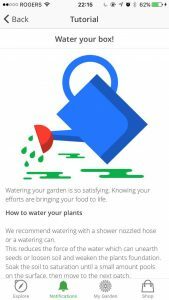 Setting up and using your garden tasks at the My Green Space app is that simple. To assist you through your planting journey, we've set up a number of different tasks to remind you of important events for your plants. Depending on whether you choose to begin with a seed or transplant, you will start with different garden tasks. After the garden tasks to get you through planting, there also other tasks to remind to about maintaining and harvesting your plant. Starting with a seed requires three simple tasks from you: planting the seeds, germination of the seed, and thinning the seedlings. 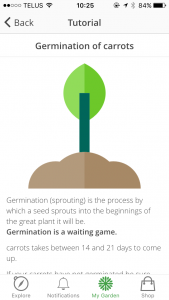 The planting task in the My Green Space app is the first step you will get if you choose to start with a seed. For almost all plants, planting your seeds is a three-step process. Make a small hole twice the depth of the seed. Depending on the plant, each hole will need to be a certain distance from each other. Place two seeds in each hole and cover it with soil. Thoroughly water the planted areas. Use a watering can or a hose nozzle to prevent flooding of your plants. You can also slowly pour the water over your fingers to use your hand as a nozzle of sorts. It will usually take a few days for the seeds to begin sprouting. So take patience. Your next step will be to wait until your plant germinates. Also known as sprouting, germination is when your seeds begin to change into a plant. The most common indicator that your plant is germinating is you begin to see the plant growing above the soil. Each plant has a different time to germinate, be patient as some seeds take a while. If your plant has not sprouted past the germination date, give it a week or two, before mourning its loss. The plant may just be taking its time. 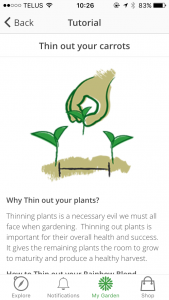 Thinning out plants is important for the plants’ overall health and success. It is the process of keeping the best performing seedlings and removing the seedlings that are not performing too well. It is a necessary evil to allow you to get the best from your garden. Select the plants which are smaller than the rest or look for the more frail looking plants. Trim the plant at its base or right on the soil line rather than pulling the plant out. Only thin out enough to give the remaining plants the space to grow. Depending on the plant some plants need as little to a couple inches to as much as a foot of space. Once you complete thinning your plants, you are ready to watch your plant grow to its potential. Unlike starting with a seed, transplanting only requires one task: transplanting the seedling. Transplanting is the method of moving a seedling or a baby plant from one container or pot to another. Often times you would do this for one of two reasons. One is you started growing your plant indoors and want to transfer it outside. The other is you recently bought a seedling from the store and want to transfer it to your garden. 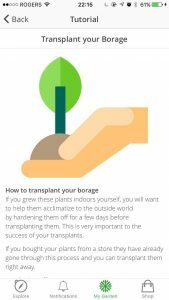 Transplanting is a lot simpler than you think. For almost all plants, transplanting can be done in three simple steps. Gently remove the plant from the pot by tipping the plant upside down and catching it with an open hand. If the plant doesn’t budge, gently loosen the soil by shaking it rather than pulling the plant at the stem. Once you have removed the plant from the pot, gently rub the plant’s roots with your hands. This helps the roots untangle. 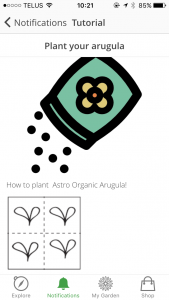 When placing the plant in the soil, cover the plant all the way up to its first leaves. Make sure to give plants sufficient space from each other. Remember it’s common for the plant to look a bit frail for the first few days. With a quick rinse and some sunlight, your plant will begin to get back to its healthy shape. 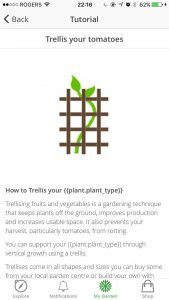 A trellis is a structure of sorts that aid plants in staying vertical. Propping the plants vertical is a simple gardening technique that keeps plants off the ground, improves production, and increases usable space. It also prevents your harvest, especially tomatoes, from rotting. Trellises come in different shapes and sizes. For smaller gardens, you can either get a plant cage or use a rod/stick and rope. For larger gardens, you can get a wall trellis. Harvesting your plant should ring with some sweet music to your ears. It means your plant is ready to be eaten. Each plant has a different indicator of when it is ready for harvest. 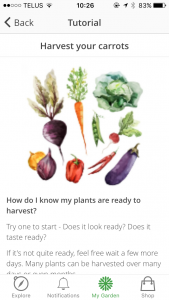 Use our harvest task reminder as an indicator to check out your plant. Check out if your plant looks ready or take a sample piece to see if it tastes ready. If it's not quite ready, feel free to wait a few more days. Many plants can be harvested over many days or even months. One thing that you need to keep in mind when watering your plants is how you water them. Water your plants from the base of the plant rather than spraying them from afar. It’s the roots of the plants that need the water, not the leaves. And those are all the garden tasks you will need to grow your garden with confidence! When you are ready, head on over to your My Green Space app and begin growing your garden with confidence! Haven't downloaded the My Green Space app? Download yours today.